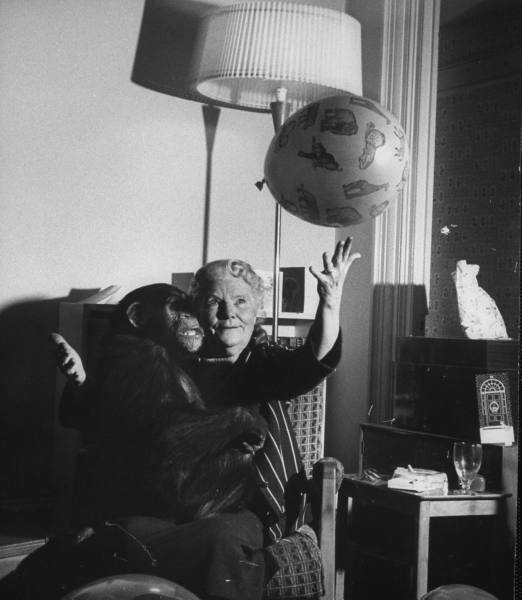 Louisa Durrell, ‘Mother’, with a chimp. Photograph by Loomis Dean for Life, taken in Jersey in 1961. Dean came to photograph Lawrence Durrell and his wife Claude during their visit to Gerald Durrell on Jersey in 1961.